If a police officer stops you in Massachusetts and smells marijuana, there is a good chance the officer may arrest you for driving under the influence of marijuana and charge you with OUI drugs; this is a very common way officers charge a defendant with an OUI marijuana charge. 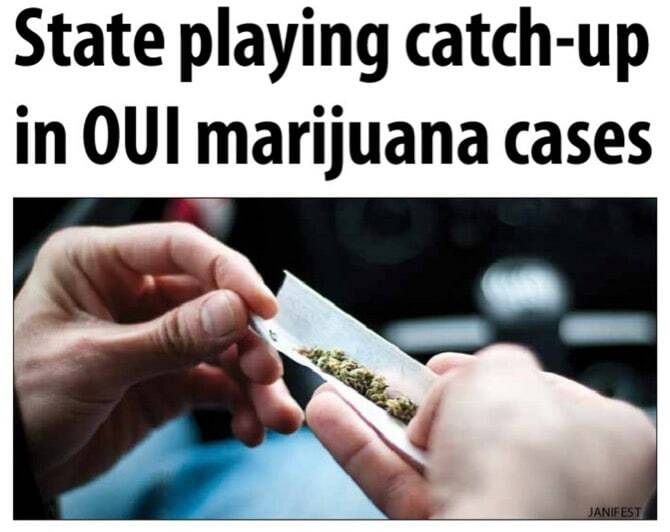 There are some new defenses to a charge of OUI drugs involving marijuana based on the recent changes to the law involving the possession of marijuana. An OUI Marijuana charge in Massachusetts is a very winnable case, because typically the Commonwealth will have no evidence as to how much you smoked, when you smoked marijuana and will lack an expert to say what impact any marijuana intake would have on your ability to drive. How does the decriminalization of under an ounce of marijuana impact my case? The legislature decriminalized possession of under an ounce of marijuana; this change in the law impacts an officer’s ability to make a motor vehicle stop based on a suspicion of possession of marijuana, issue an exit order based on the smell of marijuana and conduct a search of the car based on a belief that you possessed marijuana. As a Massachusetts OUI Lawyer, we can request a hearing challenging the legal basis for the officer to order you out of the car and request that you perform field sobriety tests. If this motion is successful, the case will most likely be dismissed. 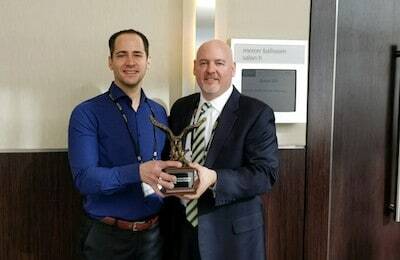 Pictured above: Attorney DelSignore receiving an award from the National College of DUI Defense in Atlanta for work on the Commonwealth v. Gerhardt case - a major case on OUI marijuana in Massachusetts. You can access the full article on masslawyersweekly.com. What to do if arrested for OUI Marijuana or OUI Drugs in Massachusetts? Contesting the officer’s opinion that you were under the influence of marijuana at trial. The first thing you should do is understand your legal defenses. An OUI lawyer may be able to make Constitutional challenges in your case. An officer who makes a stop based on a traffic infraction and smells an odor of marijuana may not be permitted to immediately order you from the car. One key issue is whether the officer claims the odor was a lingering odor or freshly burnt marijuana. If the officer claims that it was unburnt marijuana, the officer may not be able to issue an exit order based on recent case law from the Massachusetts Supreme Judicial Court. If the officer claims that the odor is of freshly burnt marijuana, this raises a closer question but still may make the exit order unlawful. The officer would likely need credible evidence of observations to substantiate a suspicion that you were operating under the influence of marijuana. At a motion hearing, Attorney DelSignore will be permitted to cross examine the officer as to the basis of these observations. Even if the motion is unsuccessful, it will allow you to hear the evidence and better prepare for trial. 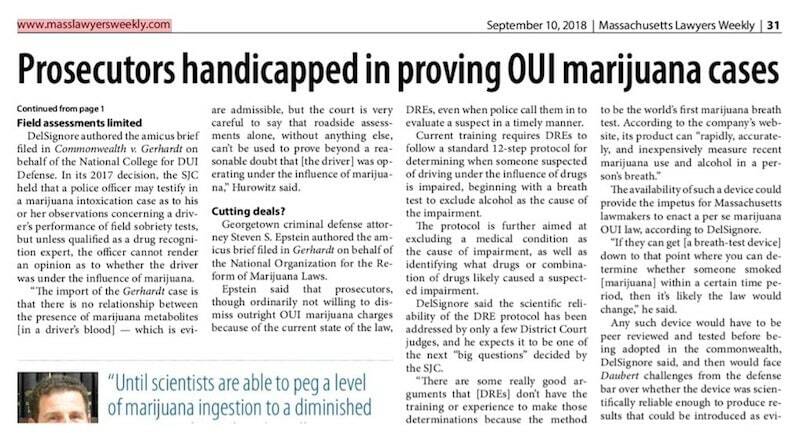 A charge of OUI marijuana is difficult for the government to prove since there is often no blood work showing the level of marijuana in your system. While the officer likely gave you field sobriety tests, these tests were designed for alcohol and there is no data or evidence showing that they also relate to impairment by marijuana. Since there is no breath test yet for marijuana, your license would not be suspended after an OUI drugs charge, unless the officer filed an immediate threat suspension with the RMV. If that occurs, your license is suspended until a suspension appeal to the RMV. To learn about how to challenge an immediate threat suspension, you can read about it here. By contacting DelSignore Law today, you can set up a free, no-obligation consultation of your OUI drugs case. We have office locations located throughout Massachusetts and are happy to meet with you today. When you face an OUI drugs charge in Massachusetts, it is likely that you have a number of questions, as these charges can be confusing and may be your first run-in with the law. You can read more about an OUI drugs charge in Massachusetts on our website here.